Music is for EVERYONE! No matter you are 8 or 98! All are welcome! 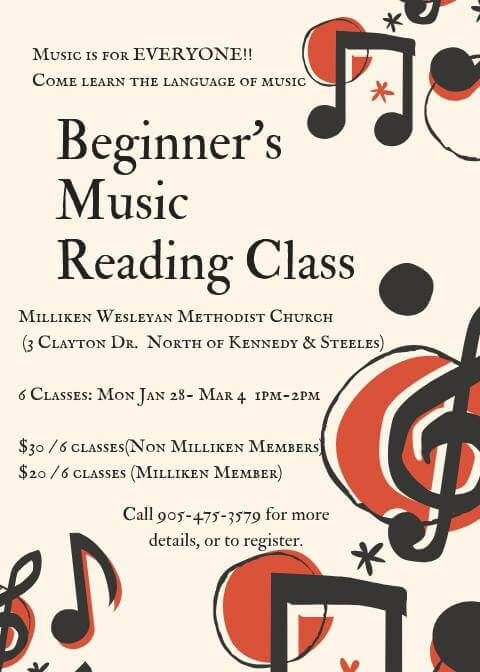 Come learn the language of music with this “Beginner’s Music Reading Class” taught by our very own Pastor George Pryor. By the end of 6 classes, you will discover the joy of reading music, and using this new skill to make your own music. Classes run on Mondays, from Jan 28 to Mar 4, from 1pm to 2pm.